A theme that repeatedly appears in the book is segmentation – and the first example occurs within the retail sector as a whole. The authors point out in the introduction that in their coverage of retail, they saw the emphasis and level of change transition from food to fashion. There are multiple sources of change, including regulation and corporate social responsibility. The expiration of the Multi-Fibre Arrangement (MFA) in 2005 led to an increase in global competition. The Rana Plaza building collapse in Bangladesh (which claimed the lives of 1,129 people) only eight years later showed the dark side of trying to remain cost competitive. My personal favorite is Chapter 2: ‘The Changing Nature of Fashion Retailing: Implications for Logistics’ in which the authors provide a rich history, not just of the global fashion industry, but of the role that fashion has played in social history and how it is an inextricable part of each culture. The current period of change seems to stem from the globalization of brands (such as The Gap) in the 1980s and 1990s. Part of this globalization brings us to the next example of segmentation: in this case it is the creation of sub-brands that align with the desires and demographics of each addressable market segment. Brands that had previously been unified at one level of the market – and decidedly out of the reach of most consumers - started to branch out so that they could address demand at each price segment with a profitable offering. Jump forward again and we reach the ‘fast fashion’ era, where the prevailing timing finishes the transition from seasonal refreshes to constant change. For a supply chain or logistics professional, this is where the industry really starts to demonstrate its complexity. Constant change requires faster time to market, which increases pressure at each step from design to manufacture to shipping. Orders become smaller as do inventory holdings. The upside of all this additional movement is that only 15% of goods end up being sold at a discount (on average) as opposed to the traditional 50%. The global nature of the industry means that sources as well as demand centers are constantly shifting, and the expectations are not the same at all tiers. For instance, while CSR and human rights expectations may prove to be nasty public relations issues for luxury brands, many of the low cost ‘fast fashion’ or disposable fashion brands are generally given a pass when it comes to sourcing in locations with questionable human rights records. The final example of segmentation I will share is seen more at the high end of the fashion market and relates to the level of control the brand has over which portions of their offering. In other words, core or ‘trademark’ products are more tightly controlled through the supply chain while more peripheral (or transient) offerings may see their production farmed out to third parties. The decision to outsource is based on both what and how, looking at the value that intermediaries can bring versus the cost and risk they add. 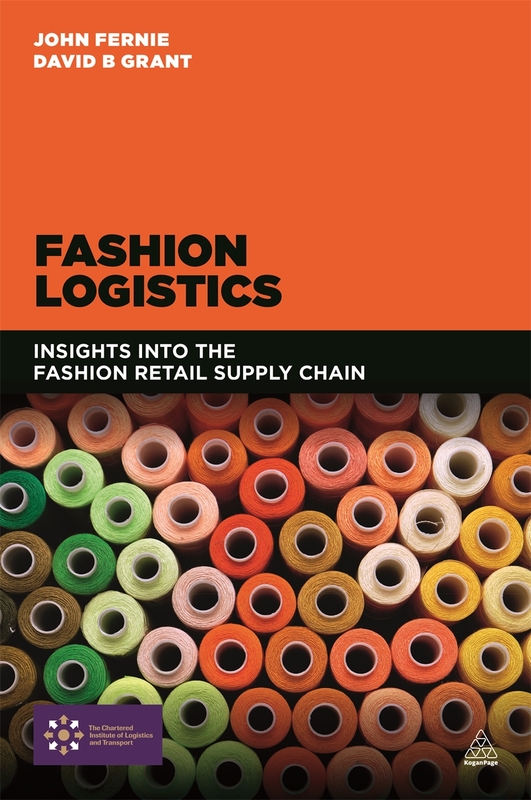 While this book is primarily applicable to fashion retail professionals, it is highly readable and should appeal to all supply chain professionals who are interested in having a look into a unique industry and seeing how the trends and decisions of market leaders play out. Equally appealing are the case studies and backstories on many of the most storied and iconic brands in all of fashion: Louis Vuitton, Gucci, Armani, Burberry, etc.